I have just come home after a truly lovely run. I left Aberfoyle and headed on as many back roads I could find. I only popped on to the A9 for about 400 yards so I could take the Kinbuck road through to Braco, then through the back road to Auchterarder. More back roads to Gloagburn for a coffee. It was very tranquil. I had a lovely time. 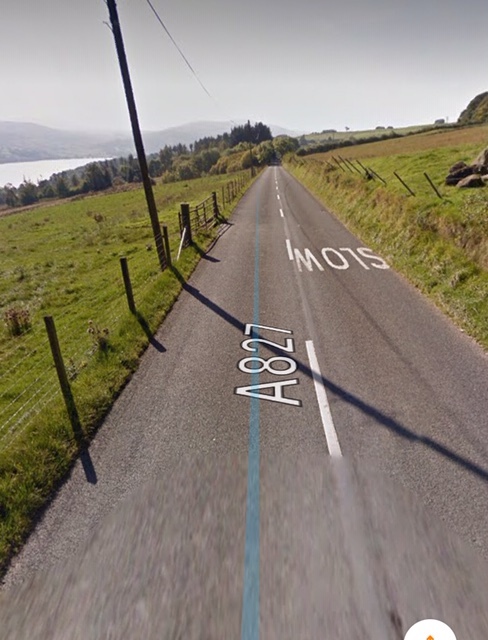 After my wee break, I took the road from the A85 to Glenalmond and oops, missed the turning, so went round the wee road – B8063 which takes you through Harrietfield, joining up to the Buchanty junction. 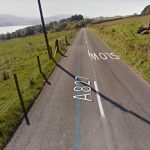 What a fantastic wee technical road. It was a first and certainly won’t be the last time I ride that. Onwards up through the Sma’ Glen to Aberfeldy, through to Weem, Coshiville and Fearnan. I hardly saw any traffic at all. I knew as soon as I got on to the Loch Tay road, that would change. I had a clear run until about 5 miles from Killin. Get in. There’s one part of the road in particular, I exercise a great deal of caution, just before the Horn Carver where the speed limit changes to 40mph. Now, riding a motorcycle involves having a riding plan. Making decisions based on your own safety and the safety of other road users. Taking into account what you can see, what you can’t see and what you can reasonably expect to develop. That’s a thinking rider. So, when I approached the farm before the Horn Carver, I was wondering what the farmer was going to throw at me today. I’ve had sheep being herded across the road, cattle being moved and slow moving quad bikes with sheep dogs with tongues hanging appreciatively in the breeze. Today, I came around the bend and there it was. None of the above though. The metal gate to the field was right across my side of the road and half of the other side. The gate was that big, only a motorcycle would have got through the gap on the offside. “Holy cr@p!” was what went through my mind and came out my mouth too. I was riding at a speed where I could safely stop in the distance I could see to be clear; I’ve had too many weird incidents on this part of the road. I put on my hazards, knowing there was a wee white car a bit behind me. I very carefully nudged Smoggy’s front wheel against the gate until enough momentum swung it back towards the field, just as a young lad, with the quad, two sheep dogs (with tongues hanging out) came up the field. I was quite polite, letting him know what had happened and what potentially could have happened – he did apologise. The wee white car came round the bend as I was chatting to the lad. Disaster averted. I am sure he worked out what had happened, my hazards on and Smoggy at a strange angle. It was just as well it was me and my beloved Smoggy that found that gate. I hate to think had it been the group on motorbikes a bit later…. Not long after, I could see the approaching headlights in my mirrors. They were going at a bit of a pace. It was a group of about 12 bikes. Now, I was riding at the speed limit and adjusting my speed and position accordingly for any hazards. Also, I was letting them through when it was suitable to do so. I certainly wasn’t going to try and outpace them – that’s not how I ride. What I don’t get, is why groups like this follow the guy in front, following in their wheel tracks. That’s asking for trouble if anything happens to the guy in front. In particular, taking the apex of a right hand bend when you can’t see around it. Much shaking of my head. There were too many close calls, so I slowed down and let them crack on. The tail enders, I let through at some traffic lights, leaving space for them to slot in when the lights were at red. So, more excitement unfolds after Lix Toll. The road is heaving busy and it’s caravan season. After the national speed limit signs, there’s a lovely straight. Now, in training, we are taught to nail the overtake in the first third of a straight. Be in the correct responsive gear so you and the bike are ready to go. If it’s not clear, back off. Sadly, these are the motorcyclists that we (members of IAM RoadSmart) have a difficult, nay, impossible time, persuading to step up to do some (any) training. These are the ones that sadly, are pocket-rocket riding potential statistics. Scaring the daylights out of car drivers, barging their way in to non-existent gaps, causing drivers to brake in panic and generally not having the patience or a brain to recognise the potential danger. Have patience, and restraint. Back off and wait for the next opportunity for an overtake. After all guys, there were plenty more available. It’s little wonder some bikers cause car drivers to curse. In the meantime, I’m continuing my smooth, safe and systematic ride home. I continued to be on high alert all the way home. I hope that the cars that I overtook on the way home restored even a bit of faith in motorcyclists. Not all of us are idiots. 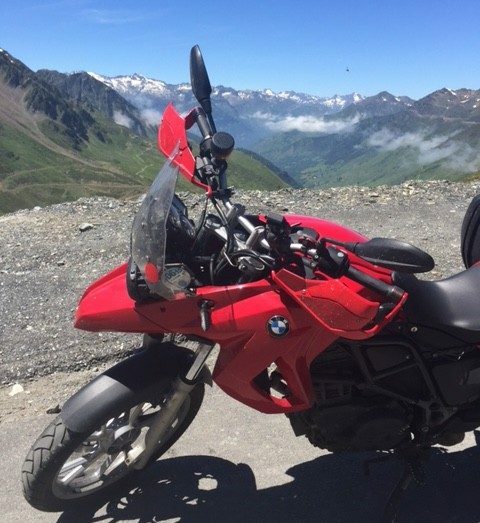 I would like to be seen to be an ambassador to motorcycling. All the group were parked up in Tyndrum when I got home. Patting each other on the backs, smiling and probably comparing the size of their dicks. They even waved at me and smiled. Probably saying “There’s Mrs Snail.” Yep, a happy, safe and content Mrs Snail who didn’t upset a single person all day. I had a great, safe, quiet, awesome run home. Smoggy’s all washed and tucked up in the garage. If you read this, and you know someone who rides like a fanny, click here for the best training you can get. Be safe out there folks! Amusing, witty but ultimately educational and encouraging as always Fi. You’re right, we are entering silly season and I’m not sure if it is the month, weather or even putting the clocks forward that seems to affect the development of some peoples frontal lobe. This refers to all human road users, not just bikers. Having completed a 900 mile holiday up to the top of the country and filling in the bits in between over the last week, I can confirm that human behaviour noticeably deteriorated into pointless risk taking, reckless inattention and general departure of common sense as the days wore on. The last two days had me checking if someone had drawn large targets on the side of the car. Keep up the good work and I’ll hopefully see you soon.